Paperback, 7 x 9 in. / 96 pgs / 45 color. Edited by Henriette Huldisch, Karen Kelly, Barbara Schroeder. Text by Victoria Brooks, Henriette Huldisch, Gloria Sutton. 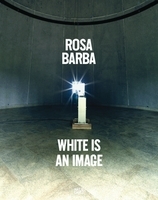 The work of Rosa Barba (born 1972) encompasses sculpture, installation, text pieces and publications. Her film sculptures examine the physical properties of the projector, celluloid and projected light. 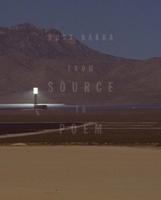 Barba’s longer projected works are situated between experimental documentary and fictional narrative, and are indeterminately situated in the past or the future. These speculative stories probe into the relationship of historical record, personal anecdote and filmic representation. 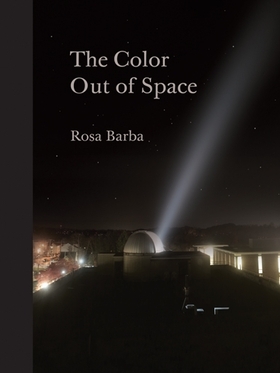 For this first survey of her work in North America, Barba premiers The Color out of Space (2015), a new film incorporating images of stars and planets collected over the last year at Hirsch Observatory at Rensselaer Polytechnic Institute. The work expands upon Barba’s ongoing interrogation of geological time as measured against the span of a human lifetime. The exhibition includes works made over the last ten years including two of Barba’s cinematic large projections, which focus on natural landscapes and man-made interventions into the environment, as well as a group of small projector sculptures and wall works. 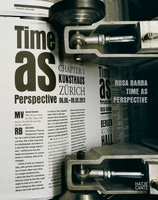 Text by Manuel Borja-Villel, Giuliana Bruno, Joan Jonas, Elisabeth Lebovici, Andrea Lissoni, Roberta Tenconi. Text by Laurie Anderson, Mirjam Varadinis, Solveig Øvstebø, et al. Text by Lynne Cooke, Elisabeth Lebovici, Raimundas Malasauskas, Francesco Manacorda. FORMAT: Pbk, 7 x 9 in. / 96 pgs / 45 color. Published by Dancing Foxes Press/MIT List Visual Arts Center.